Customer service training is an integral element of any organisation. It is vital that your front line staff are trained in effective customer service techniques. Customer service and service techniques are vital for customer retention, sales, brand protection and many more important factors. Learn everything you need to become an expert on Customer and Client Services. You will also get a Certificate of Training Completion after taking this online course. 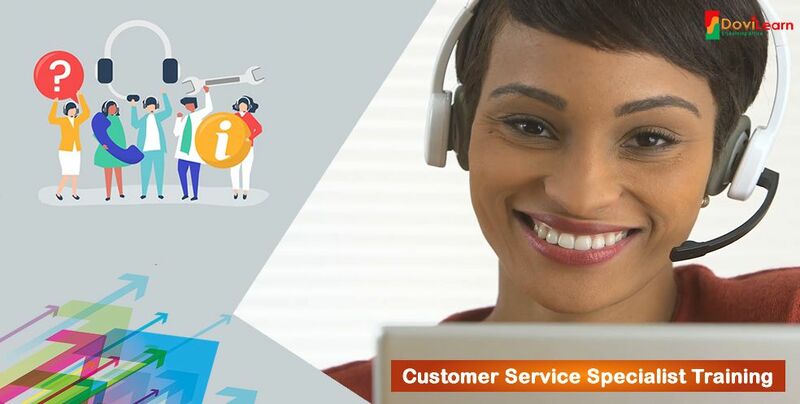 Become an expert on Customer Service by enrolling for our highly comprehensive Customer Service Specialist Online Training. This online training contains all you need to become a Customer Service expert. The course contains over 25 sections which makes up over 4 hours highly of illustrative and detailed training and guide for Customer Service Excellence. Topics ranging from Customer Service Excellence, Managing Customers, Managing Customer Needs, Communication Skills, Impression Management, Attitude Management, Telephone Skills, Questioning Skills, Assertiveness, Listening Skills, Email Etiquette, Feedback Management, Service Requests and so much more were all duly discussed and detailed in the course. The course videos contains over 4 hours plus hands-on training on Customer Service secrets and techniques. You'll learn how to manage large and diverse customers, how to work in a challenging and multi-customer tasking work place. Upon completing this online training, you will stand out as an exceptional Customer Service Expert among others. This course is ideal for professionals interested in making a career in the field of Customer Service. It is ideal and highly recommended for Fresh Graduates, Intermediate Professionals, and advanced professionals interested in customer service success. Also, this course will increase your chances of landing on your dream job on Customer Services, including in other major career fields as having skills on Customer Service Excellence makes you stand out. Upon completing this course, you will get DoviLearn Certificate of Training Completion on Customer Service Specialist Training which is downloadable at no additional charges. You can include this in your CV and reference to prospective employers, including your current employers.